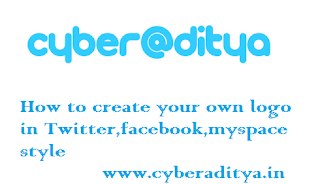 hello visitors today I am sharing a simple trick to create your logo in twitter, Facebook, Myspace style. Step 2:- type your name is the first box. Step 4:- Click on make.